Chan Brothers Air-Conditioning provides a wide range of both air-conditioning installation works and servicing. We offer only the best to our client with warranty provided to ensure that every work done is of customer satisfaction. Our service areas covers both residential and commercial air-conditioning installation and servicing. 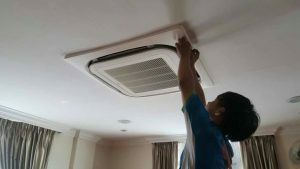 Having been in the aircon servicing industry for more than 10 years, we understand the difficulties customers face when operating their aircon unit. 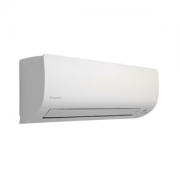 We provide a comprehensive range of brands from Daikin, Mitsubishi to Panasonic. Apart from the standard warranty with the purchase of new aircon units, we provide in-dept servicing packages to ensure our clients that their aircon system is good to run for the many years to come. 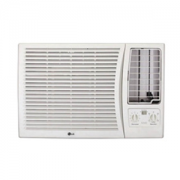 Wall mounted air conditioning units are placed at a high-level on a wall. It is ideal for areas such as bedrooms, living rooms, offices, server rooms and shops. Wall mount air conditioning unit works by ventilating your area with cool air via a central compressor. The compressors are usually found on on the aircon ledge or in older homes, suspended outdoors with a bracket. 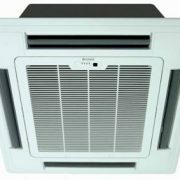 A window / casement air conditioner unit, is designed to cool a single room which can be a good and easy to install option. It is usually installed when it is not possible or practical to have a central air conditioning. It requires a opening to an outdoor space to ventilate the hot air which will not be suitable if your room has no windows or opening. This type of cooling system is used to cool the entire home, versus a window air conditioner that is used to cool a specific area or room of your home.